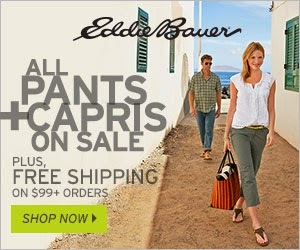 Get Eddie Bauer Coupons worth an extra 10% off Clearance prices. Use Coupon Code SAVE10 at checkout. They're also having a Pants & Capri Sale. Shipping is Free on orders over $99.